You can find mosquitoes nearly anywhere on the planet, and Indiana is certainly no exception. These bugs constantly irritate everyone around with their bites and their incessant buzzing. Mosquitoes certainly qualify as terrible pests. On top of that, many people don’t realize that mosquitoes also present a fairly significant health risk. Mosquitoes can carry serious diseases that could threaten your pets, family, friends, and anyone else around. Fortunately, you can fight back against these insects – and we’re going to fight right along side you. 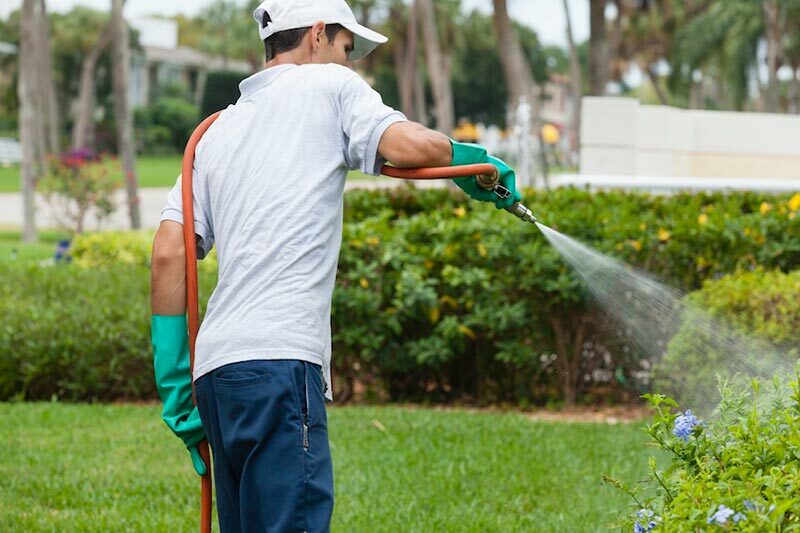 Indianapolis Pest Control offers mosquito exterminator services in and throughout Indianapolis, along with all other suburb areas surrounding the city. Though you’ve seen them before, many people are misinformed on exactly what a mosquito is and how to properly identify them. For starters, you can recognize a mosquito by their thin body, long legs, and diminutive size (did you know: mosquito actually translates to “little fly” in Spanish). Both male and female mosquitoes feed on nectar and other plant juices. However, the females also have to feed on blood to be able to develop fertile eggs. This is similar to how fleas work. When mosquitoes land on and being to feed on a human, proteins in their saliva enter the blood stream to thin the blood, allowing them to “eat” more effectively. Our immune system fights back against the saliva. This is what causes redness, swelling, and itching from their bites. Depending upon the severity of the bite, the immune reaction can last for up to a week. It just depends on each individual case. However, the real danger from a mosquito bite is the potential to catch a disease. One of the worst diseases you can get from a mosquito is the Zika virus. Before October 2015, when people talked about mosquitoes and diseases, there were only a few diseases people would mention. Malaria, dengue, and yellow fever were the 3 main ones that would be brought up. However, a recent outbreak has lead to Zika being one of the most talked about and scary mosquito-borne diseases. The Zika virus is spread mainly through the bite of an infected species of mosquito called the Aedes. Patients who have contracted the Zika virus usually don’t get sick enough to warrant hospital visits. This leaves many cases going unnoticed. One of the major concerns commonly talked about is that mosquitoes have now been proven to carry and transmit the Zika virus to humans. The Zika virus, when someone is first infected, often causes mild cold or flu-like symptoms. This causes most people get over it quickly. However, the real problem is that the virus can cause serious problems down the road. This is particularly true when it comes to birth defects. Typical treatment for the Zika virus is generally rest, drinking plenty of water, and consulting your doctor on what his/her medical opinion is. 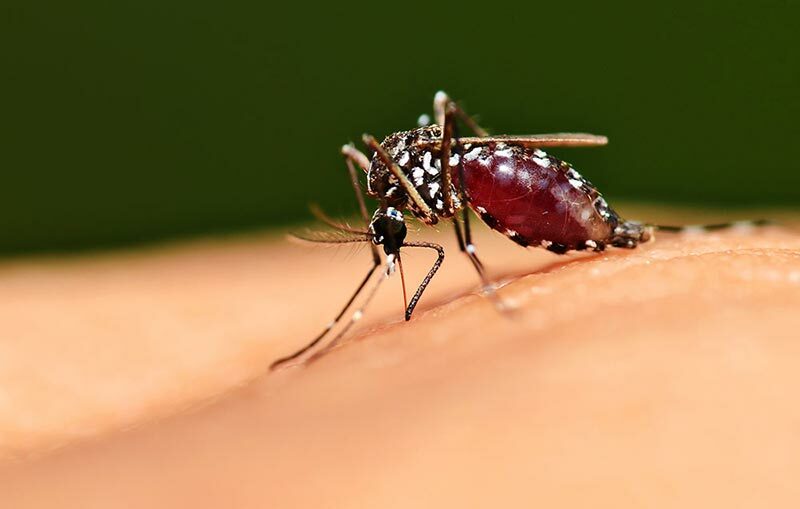 The best way to avoid ever being infected with the Zika virus is by using mosquito nets, covering yourself during peak activity, and using mosquito deterrent methods (such as hiring our Indianapolis mosquito control service to get rid of them for you!). The best way to control any mosquitoes on your property is to put an end to mosquito breeding sites. There are a bunch of things you can do around your house to get rid of mosquitoes, but hiring an expert mosquito exterminator near me is the best method for getting rid of them. Your dedicated Indianapolis Pest Control team can inspect areas in your yard where mosquitoes could be breeding and give you tips on preventing future problems. Indianapolis Pest Control technicians have the latest methods on how to find where your mosquitoes are resting and treat those areas to kill off the adult mosquitoes around your property. The treatments can last for weeks and we’ll find places that may have eggs or larvae and eliminate them as well. You can greatly reduce the chance of having to deal with a mosquito infestation by removing their natural habitat – standing water. Without standing water, mosquitoes cannot breed. A pond, bird bath, or any other type of standing water on your property may seem like obvious targets. You should keep in mind that even smaller sources of water, like standing rain water in a flower pot or open trash can, can also attract mosquitoes. We highly recommend that you remove these sources of stagnant water (or at least change out the water often enough to discourage any breeding). When traditional mosquito prevention and control methods fail, specific removal and prevention techniques from an Indianapolis Pest Control specialist can help. When you call us for help with mosquito removal, our technicians will discuss your options and provide you with an estimate. We focus on organic, low-impact, and non-toxic solutions to keep your yard, pets, and children safe. If you have a mosquito problem anywhere in Indianapolis, or anywhere else in surrounding areas, call us today at (317) 664-7873!